Notes: This is the first of the Limited Edition Portrait of Pirates from the new movie Strong World. 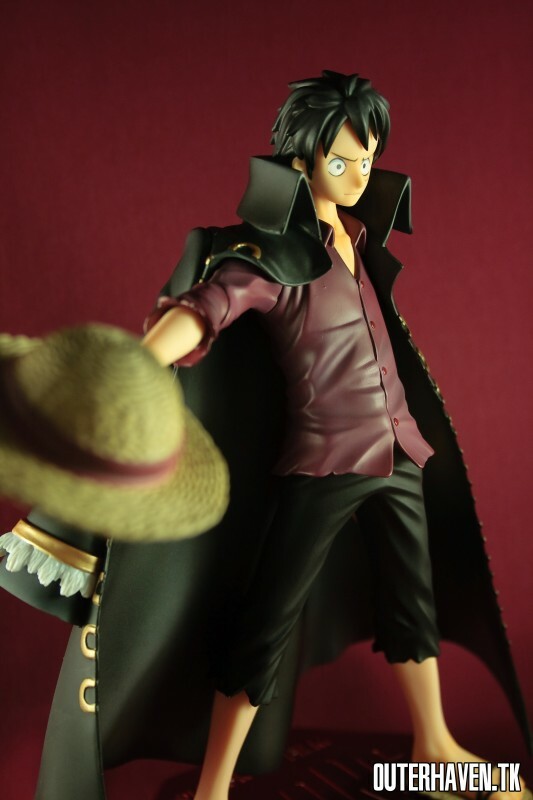 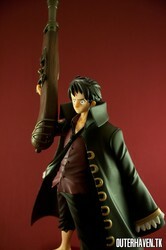 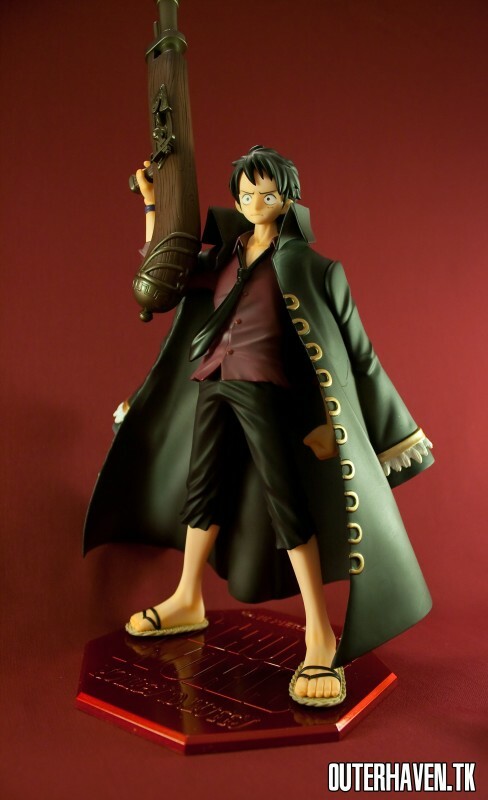 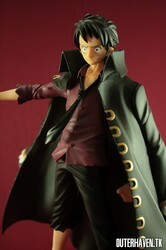 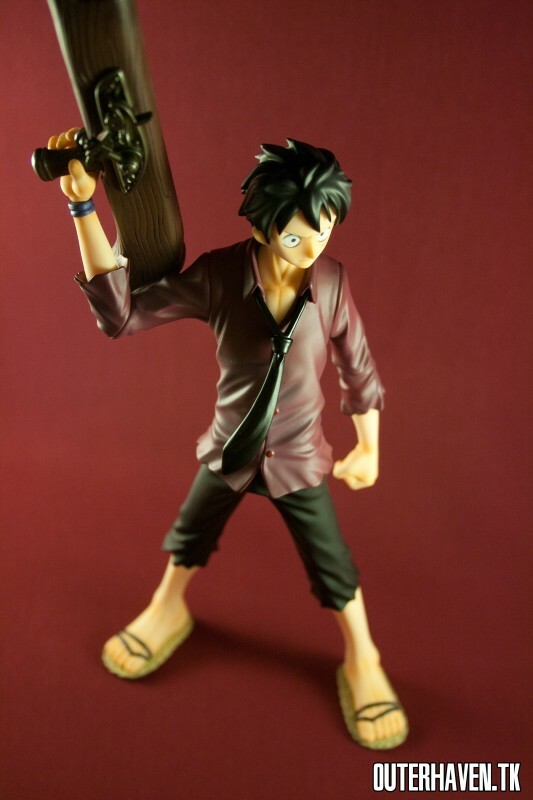 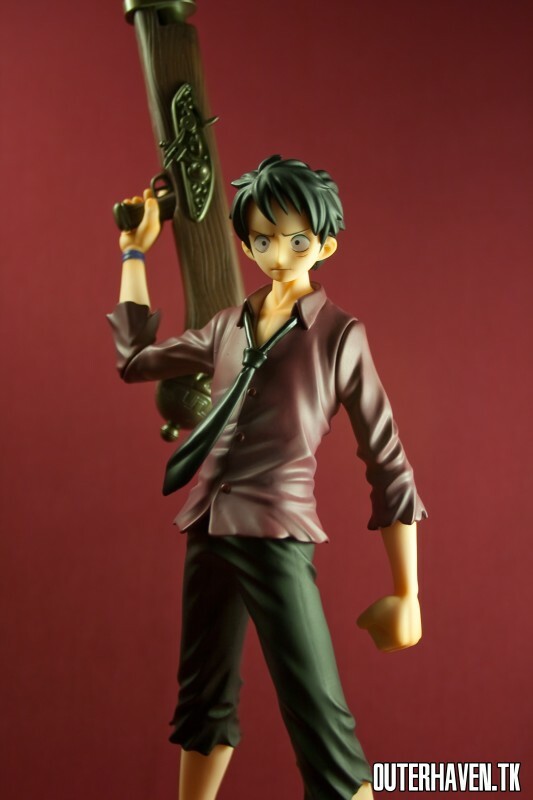 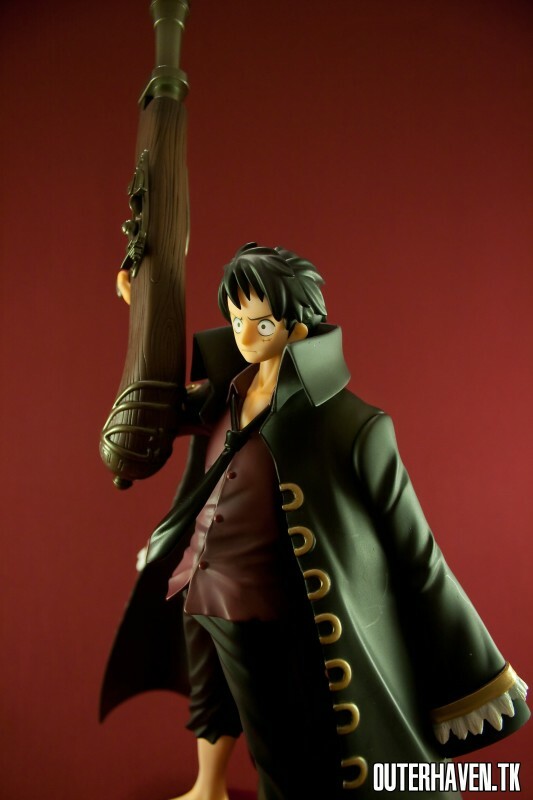 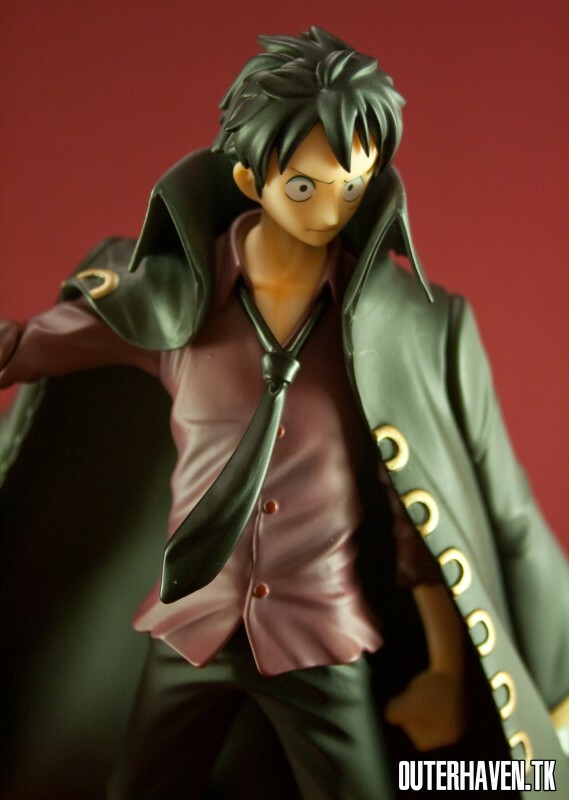 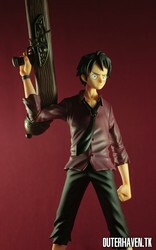 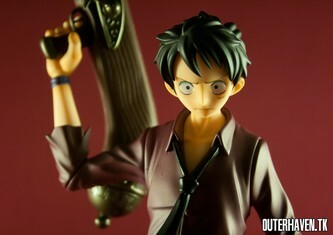 Luffy comes with a removable hat, stupid large gun, removable pimp coat, and removable tie. 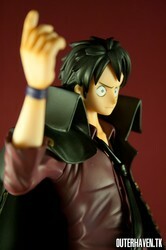 His right arm is somewhat movable, and his head can look left or right. Although it sounds silly, this is the first time a P.O.P. figure is somewhat movable. 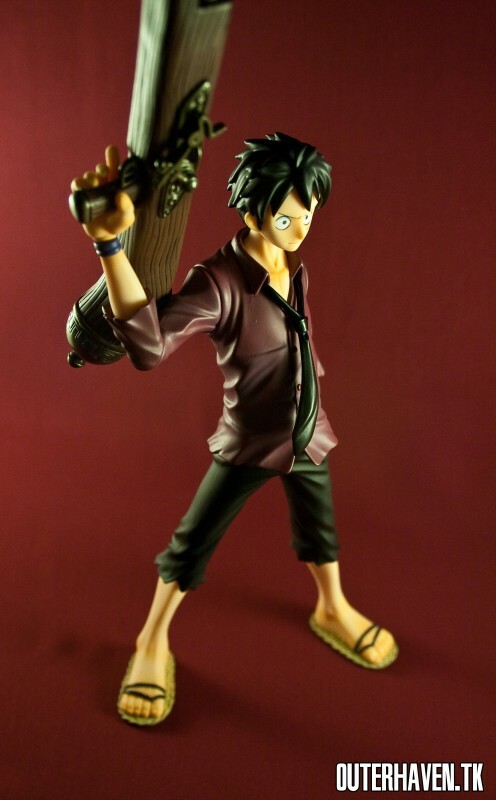 An exciting update to one of the best figure lines to ever exist.